The region was well-organized with evidence of well-developed societies, scholarship, etc. The upanisads are a written composite and philosophical exploration on works orally composed. They intend to present the meaning of religious practice and thought up against or in response to the Vedas. A few centuries before the life of Buddha, a tradition of Wanderers wanted liberation, and were the early roots of Buddhism. Life of The Buddha, or Siddhartha Gautama, "The Buddha"
Referred to as the "enlightened one" or "one who has awakened"
Note: Siddhartha's birth and death dates are controversial. 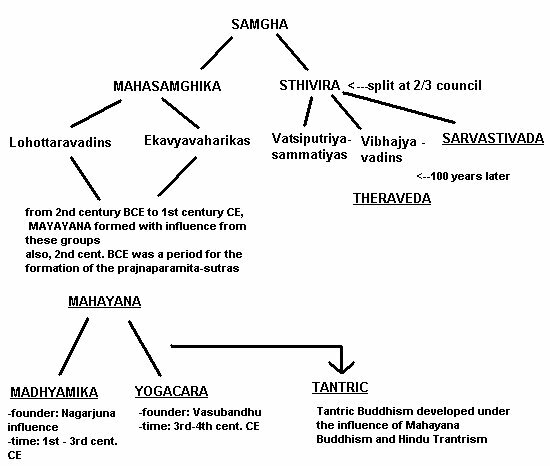 It is widely held in Sri Lanka and Southeast Asia that Siddhartha's life spanned from 624-544 BCE, and in Europe, America, and India from c.566-486 BCE, and further in Japan from 448-368 BCE. Sent out missionary efforts to spread Buddhism to other places, i.g: Indian sub-continent, Burma, Sri Lanka, etc.